#1 MG Financial Group - out of business. question, you may keep your position open for as long or short a duration of time as desired. We do allow Scalping but it might become a problem with our liquidity providers and filling orders etc… We recommend that you stay in a trade for at least 93 seconds. If a customer engages in scalping and it somehow becomes a problem we will notify that person. MIG Bank (formerly MIG Investments) does not require a minimum number of trades per month as neither we require a minimum pip value or open time for positions before allowed to close. We do accept scalpers but since it is difficult to cover such positions in the market, we would need to increase the spreads for clients with permanent scalping strategies. We consider an scalpers somebody who systematically pip hunts below 5 pips as average. All the cases are studied based on general performance and we do get in contact with our clients prior to take any related decisions. Update 13.08.2008: The new M I G Investments General Terms and Conditions are effective immediately (13.08.2008) and have been updated with reference to M I G's current position on Scalpers: Due to the difficulties associated with covering such trades, M I G Investments does not accept scalpers. The term scalping here primarily refers to latency trading, where clients unfairly exploit, to their advantage, delays that may occur due to the fact that FXTrade is Internet-based. OANDA does not have any restriction on the length of time a trade is held. Yes you can scalp with us. Yes, you can do that. As long as you have enough margin to open a position, you can close it at any time during our normal trading hours which is between Sunday 5 pm ET and Friday 5 pm ET. Yes we do not have any restrictions to the length of time on holding positions. You are able to hold a position for less than a minute, however, we do not encourage scalping. #9 United Global Markets - out of business. Scalping is not an issue so long as you are not taking advantage of our price feed lag. 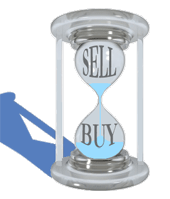 We do allow scalping, news trading, grid traders and other in and out traders. #10 IFX Markets - presently redirects to FX Solutions. Your question is very easy to answer. We allow scalping, we don't care if we hold your position for 1 second if you can make money that quickly. The answer to your question is yes. You can hold a position for less than 1 minute. But we don´t allow that you take advantage of the system. Yes we allow scalping. Only thing if you going to request a lot of quotes and not act on them the system will put you on the bottom of the list and you will receive lesser priority. We have no age requirement for positions. Be they open for 1 year or 1 minute, you can mange your positions as you wish within our market. I've copied next: "Do you allow scalping? We don’t condone any one particular type of trading style." #17 AvaTrade Paragraph 20.2 - 20.4: Terms and Conditions refer specifically to "transactions that rely on price latency or price feed errors", while "fair" scalping is not forbidden. Confirmed via email. So far seems like almost nothing should bring clouds to your sunny sky... Is it really so..? Opening accounts with each and every of mentioned here Forex brokers and scalping for at least about a month to get a result would be a very difficult task... So, hopefully, we are going to hear from other traders about their experience. Please drop us a line in a form of comment below. Thank you! I would like to take this opportunity to introduce myself as your Account Executive at ACM. In the next few days I will contact you in order to discuss how to use our services to your best advantage. #19 ODL Securities - presently operated by FXCM. I would be happy to answer any questions you have regarding opening an account with ODL. What is the best telephone number to contact you? Please note, that my research is based not on a real account with each broker and actual scalping with no problems. It is rather a journalist report on some sort of “interview” with brokers’ customer support. So, there is no way I can guarantee that you can go out and scalp freely with any of these brokers. Dear trader, do you happen to have any scalping experience with any of the Forex brokers mentioned or not mentioned here? Drop us a line by leaving a comment below and we would be very grateful... not only us, but all other users that are waiting to hear about some real scalping experience! 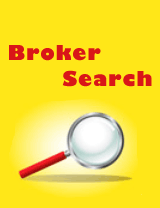 Submitted by User on May 8, 2013 - 11:27.
please last user,i have been scalping from one broker to another and the issues that make me leave those brokers is the issue of late position of order. I will place the order at the same time the news actual comes out but i will be placed at the end of the spyke, so my question is ; does yadix and finfx place orders suring news time immediatly or they wait for seconds before they place your order? PLEASE ANYONE ANWSER THIS QUESTION? Submitted by User on March 7, 2013 - 09:47. I advise to take a look at the Yadix Scalper Account - upfront accept scalpers without restriction. They have zero stop levels or limits for scalping and hedging. Most brokers have a least 3-5 pip stop levels and time limits too how is that true scalping ? Submitted by User on February 27, 2013 - 11:52. Just a question from a young trader.. how do you scalp in just a few seconds?? because in all the platforms and brokers I have tested, the price didn't move above the spread margin. I am missing someting? Tks to take a few seconds to respond. Submitted by User on November 27, 2012 - 15:51. ActivTrades and JFD Brokers also allow scalping. Submitted by User on August 22, 2012 - 02:16. Submitted by User on August 18, 2012 - 01:06. Submitted by User on August 10, 2012 - 14:28. Submitted by User on August 1, 2012 - 21:15. Submitted by User on July 14, 2012 - 10:32. FXCM allows scalping, but don't expect from them a spread lower than 2.2 pips on EUR/$, so its not the best out there! Submitted by User on June 28, 2012 - 23:28. Submitted by User on June 20, 2012 - 19:40. Submitted by User on February 27, 2012 - 09:53. Submitted by User on February 6, 2012 - 13:55. Submitted by ReganiForex on December 13, 2011 - 08:42. Submitted by Sohel on December 11, 2011 - 07:58. I don't know whether I've missed it or not--- what about hotforex?